Ships tomorrow if you order in the next 17 hours 37 minutes. 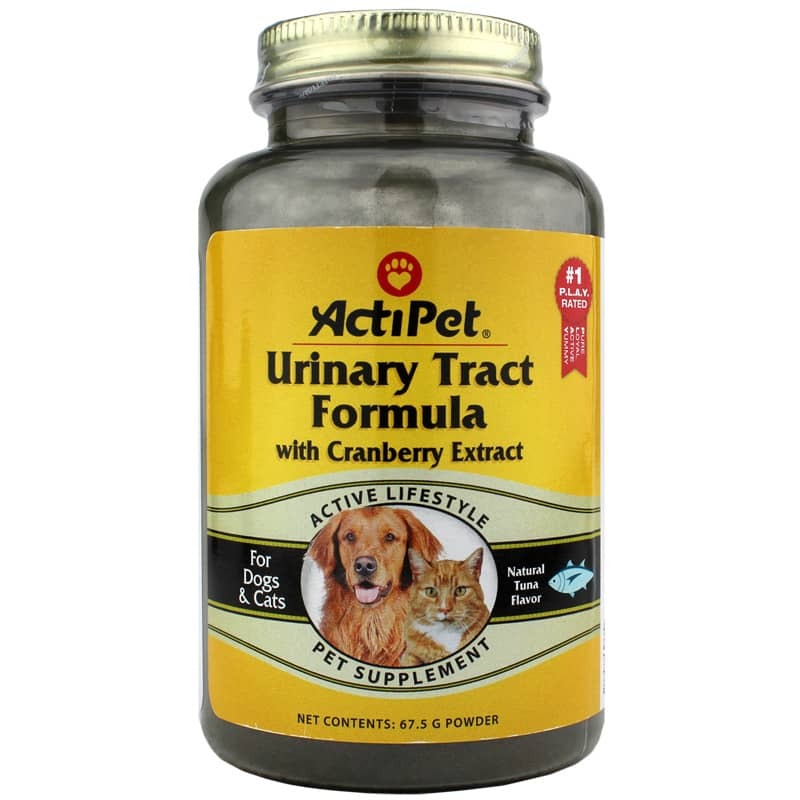 ActiPet Urinary Tract Formula is specially formulated with Cranberry extract to support your pet's urinary tract health. ActiPet was created to help your beloved pet remain healthy and active. 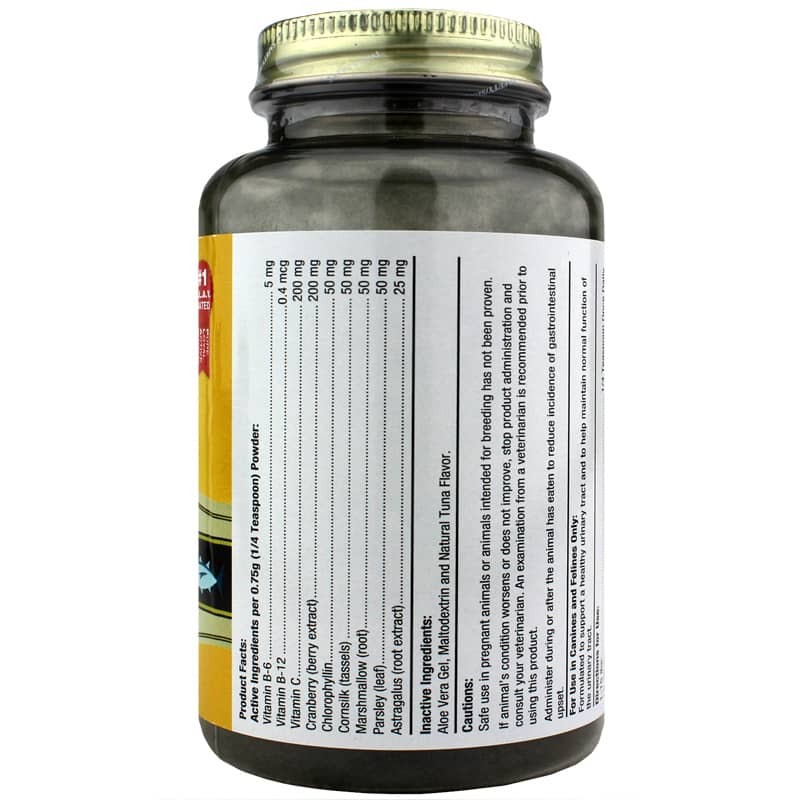 Each fine ActiPet product is specially formulated with only the highest quality human-grade raw ingredients and contains potent and efficacious amounts of key ingredients and nutrients that target specific health conditions. Other Ingredients: Aloe Vera Gel, Maltodextrin, Natural Tuna Flavor. Mix in your dogs/cats food. For Pets 1-15 lbs: 1/4 teaspoon once a day. For Pets 16-30 lbs: 1/4 teaspoon twice a day. 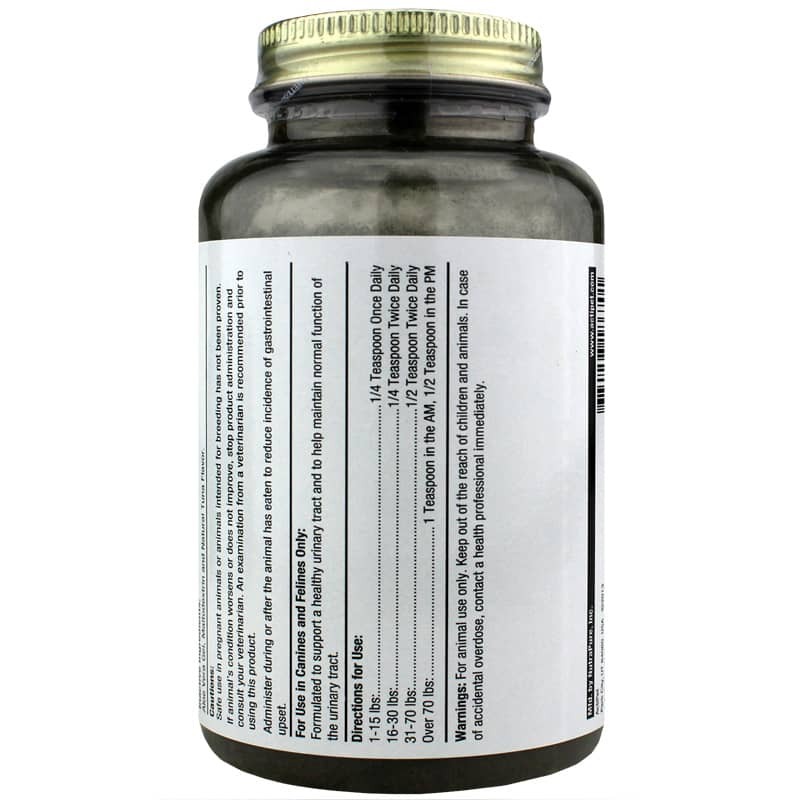 For Pets 31-70 lbs: 1/2 teaspoon twice a day. For Pets over 70 lbs: 1 teaspoon in the morning, 1/2 teaspoon in evening. For use in canines and felines only. Safe use in pregnant animals or animals intended for breeding has not been proven. If animal's condition worsens or does not improve, stop product administration and consult your veterinarian. Keep out of the reach of children and animals.